What is the Monetization Decision Engine? 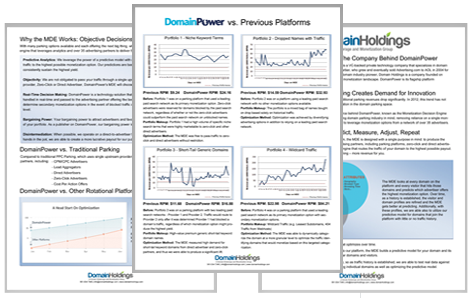 The MDE is a proprietary technology piece built into DomainPower to remove the reliance on a single monetization solution. Download the PDF to learn why we built it, how we are improving domain parking monetization and how it will help you earn more revenue. Paper: What is the Monetization Decision Engine?